On Friday, the United Kingdom’s disarmament ambassador, Matthew Rowland, feigned concern that a legally binding instrument to prohibit nuclear weapons would weaken the Non-Proliferation Treaty (NPT). We should abide by the principle of “do no harm,” he lectured delegates. Then—in one of the more blatant displays of hypocrisy during this year’s First Committee session—he boasted that Britain’s “democratically elected” parliamentarians had voted in July to renew its fleet of nuclear-armed submarines. How was this decision not harmful to the NPT? Like all NPT states parties, the United Kingdom is legally obliged to pursue negotiations for nuclear disarmament. And quite obviously, it is failing to do so—as are the United States, Russia, France, and China, as well as states that include nuclear weapons in their security doctrines. It is these governments that are eroding the NPT—and treating the rest of its membership with contempt. How can a state that wields weapons of mass destruction—weapons that it has acknowledged have “catastrophic humanitarian consequences”—preach to others about doing no harm? The NPT is not a licence for five nations to retain nuclear weapons in perpetuity. It does not confer any legitimacy on their weapons. Yet the United Kingdom last week was speaking as if that were the case. And it will continue to do so until we prohibit, and effectively stigmatise, these abhorrent weapons. The British ambassador, who accused ban treaty supporters of “fooling themselves” to believe that such a treaty would have a positive effect for nuclear disarmament, seemed only to be fooling himself to think that an intervention of this nature would be compelling to states determined to outlaw weapons that threaten all of our security. Let us recall, too, that the United Kingdom, through the bolstering of its nuclear arsenal, has caused harm not only to the NPT, but also to countless people. It has perpetrated hundreds of acts of nuclear violence, conducting nuclear test explosions and related trials in my own country, Australia, and in the Pacific and Nevada. Aboriginal people bore the brunt of the tests on our land in the 1950s and ’60s, carried out with the complicity of the Australian government. For many Australians, nuclear weapons are not a distant, abstract threat, but a lived reality—a persistent source of pain and suffering, of contamination and dislocation. Little was done to protect the test site workers, and even less to protect nearby Aboriginal communities. Today, survivors suffer from higher rates of cancer than the general population due to their exposure to radiation. Only a few have ever been compensated, and much of the land used for the blasts remains off limits. At the Vienna conference on the humanitarian impact of nuclear weapons in December 2014, Kokatha-Mula woman Sue Coleman-Haseldine described the irreparable harm that the United Kingdom had inflicted on her people. 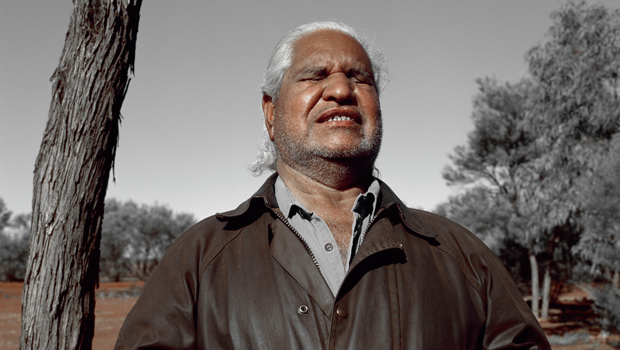 “Our old people remember the good life of hunting for wild game and collecting bush fruits. Life was healthy. There were still Aboriginal people living and travelling this way in the Emu Field and Maralinga region when the bomb tests started. The government was no good at ensuring everyone was safe,” she said. “Many people died and became sick in the immediate test areas. So did the animals. The first atomic bomb called ‘Totem 1’ spread far and wide and there are lots of stories about the ‘black mist’ it created, which killed, blinded and made people very sick.” Last week, the president of the UN General Assembly, Fijian ambassador Peter Thomson, reminded First Committee delegates that our region “still bears the human and environmental scars from nuclear weapons testing.” Fijians, in particular, have suffered greatly from British nuclear violence. Ambassador Rowland asserted on Friday that his country’s “nuclear deterrent,” by which he meant its nuclear weapons, have kept the peace for decades. What peace? And should every nation acquire a “nuclear deterrent” to make the world a safer place? How is inciting proliferation not harmful to the NPT? His statement—which he delivered in response to the report of a UN working group on nuclear disarmament that the UK had boycotted—was offensive to all those who have suffered from Britain’s acts of nuclear violence, and to those who are committed to implementing the NPT by negotiating a ban treaty. Following the remarks, the US disarmament ambassador, Robert Wood, fist-bumped his British counterpart, signalling his praise. But the intervention, with its insulting tone and weak argumentation, could only have strengthened the commitment of other nations to begin negotiating a ban. We must all abide by the principle of “do no harm”. Which is why we must urgently negotiate a global ban on the worst weapons of mass destruction.